Voonik supports tracking only on website and Mobile site. Toolbars that are installed on your browser may redirect your shopping trip from Zingoy and take credit for your order. If you have toolbars installed, you will need to make sure they are not linked to other shopping rewards or coupon sites. Cashback is payable only on minimum purchase of Rs.146. Tracking Details: Tracked transaction will reflect at lower cashback. 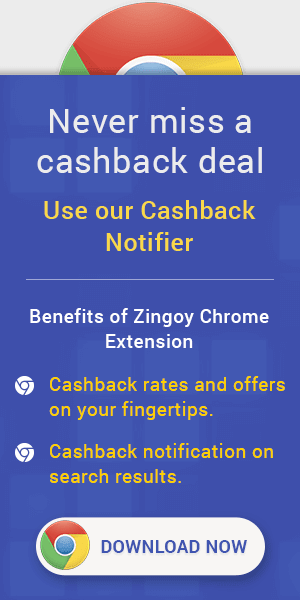 Voonik App purchases are not eligible for cashback due to tracking constraints. Voonik Wedding Sale : Now shop for Wedding Essentials from Embroidered Sarees, Wedding Lehangas, Kanchipuram Sarees, Brocade & jackqard Sarees, Haldi Special, Mehendi Special, Pre-Wedding, Sangeet and more from popular brands & get up to 80% discount.